Sunday Lunches are meant to be special, and this slow cooked Jackfruit Biryani or Kathal Biryani made with raw jackfruit, long grained Basmati Rice and lots of spices is definitely my definition of SPECIAL (Vegan option available)!! When I think of Sunday lunch, I always think of something that is slow cooked and delicious. A dish into which I put my heart and time into. It may be because of my mom. Being children of a full time career woman meant that weekday food was simple and quick. It was still delicious and healthy. My mom made sure we ate home cooked healthy food literally every meal every day. Eating out was a rarity. Working 6 days a week, left out just one Sunday and she made sure that Sunday was special. It was the day she got to cook something special for the large family. A Sunday fare that everyone in the family loved and awaited. A couple of years ago, I realized I'm turning into my Mom!! Good for me, she is the woman I admire the most, but not so good for my lazy hubby. He gets picked on for not keeping his tea cup in the kitchen sink almost as soon as he finishes the tea, a most definite hand-me-down trait from my mom. I instantly NEED (yes, it is a need) cups and plates and bowls to be kept in the sink as soon as they are empty of food. It may be a really annoying good habit or just OCD, but whatever that is, came from my mom to me. There is one thing different though, she hated spicy food. Infact, all her siblings do. They cannot stomach anything spicy, they prefer a more bland affair. Luckily for me I can eat spicy a couple of times a week, and then I crave my simple daily home cooked rice-dal type of food. So while my Sunday lunch is a lengthy affair, it is definitely spicier than my mom's. This Sunday it was a recipe that I'd been wanting to make for a very very long time - Jackfruit Biryani or Kathal Biryani. Can I just tell you something? It was DELICIOUS!!! It was the best biryani I made till date. The aroma wafting through the house from the very first step had us drooling before we even got to eat the biryani. I am actually sorry that you cannot smell this through the photos. 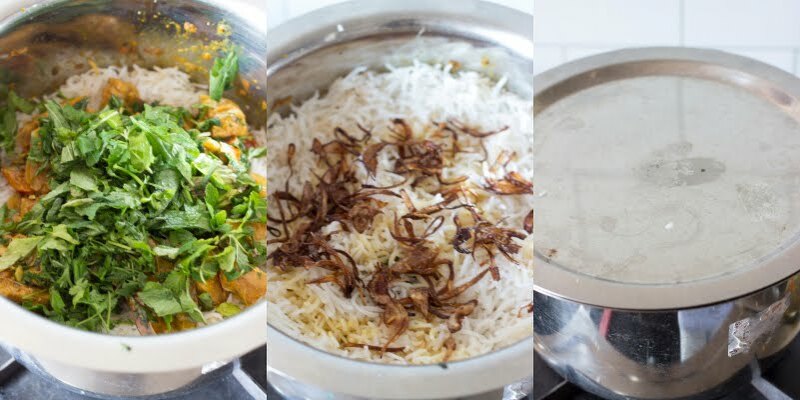 You can make this Biryani on anyday, but I'm just being honest in saying it is a time consuming dish and is best made on days when you have the time and do not have to rush through the steps. This is definitely not a quick weeknight recipe. Biryani is predominantly a non-vegetarian dish in which rice is cooked along with meat and spices. Jackfruit is a perfect replacement for the meat due to is chewy moist texture. And this Jackfruit Biryani can convert anyone to a vegetarian!! The most boring and tedious job while making this biryani is actually cutting the jackfruit. The sticky milky wax is kinda annoying. 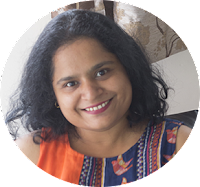 Rajeshwari of Rak's Kitchen has provided a beautiful visual tutorial on how to cut a jackfruit. You can follow that until step 2. I used coconut oil instead of sesame oil, use any cooking oil. Once the jackfruit is cut and ready, half your job is done. 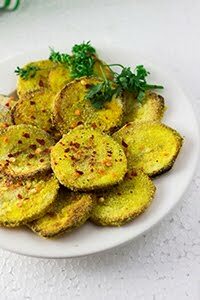 Salt the pieces and deep fry them. You can also steam them or just use it directly in the biryani and allow it to cook along with the rice and spices. A major part of the biryani is the rice. Use the best long grained rice you can. Fragrant basmati works the best with this type of biryani. 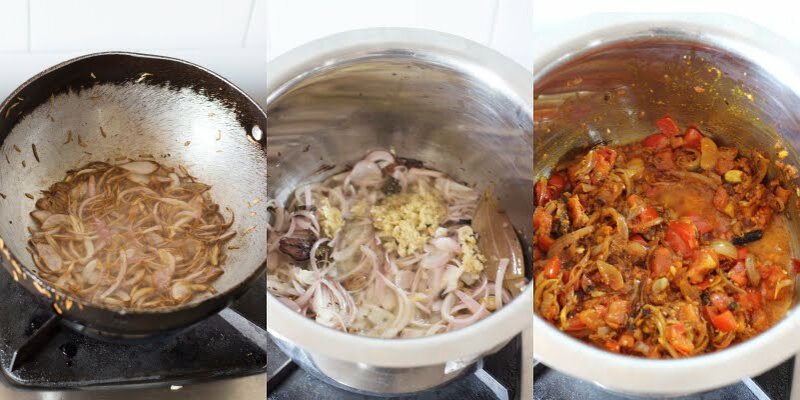 Since the rice is layered along with the masala and cooked again later, in the initial stages, we only parboil the rice. The rice is cooked along with whole spices until it is half done. Then it is drained and washed and kept aside. The masala, this smells DIVINE. I'm not kidding. This is gonna bring neighbors home, that's how fragrant it is. 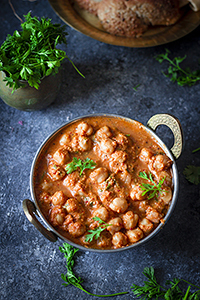 Traditionally the masala is not vegan, but you can make it vegan. Just replace the Ghee with more Oil and the yoghurt with extra tomatoes. The spices are fried in ghee+oil and then the onion is added. Then come in the ginger-garlic, and this is when the aroma just explodes into your face. Then come tomatoes. If you are replacing the yogurt with tomatoes, just add them now. Add all your spice powders. Once everything is cooked, add in the jackfruit, yogurt, and coriander leaves. Your masala is practically ready. Then begin by layering the masala, fresh mint leaves, rice. Usually 2 layers are made. 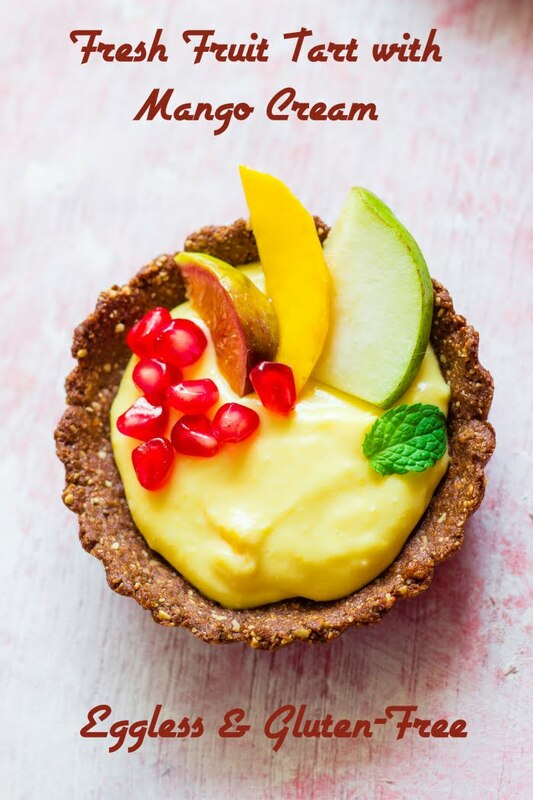 Then on the top layer add saffron or turmeric powder mixed with either milk or water and pour. Sprinkle crispy brown onions. Cover and cook on low heat for 20-25 mins or until the rice is done. You can bake this too. Preheat your oven to around 200 degree C and bake the layered biryani for 20-25 minutes or until the rice is done. 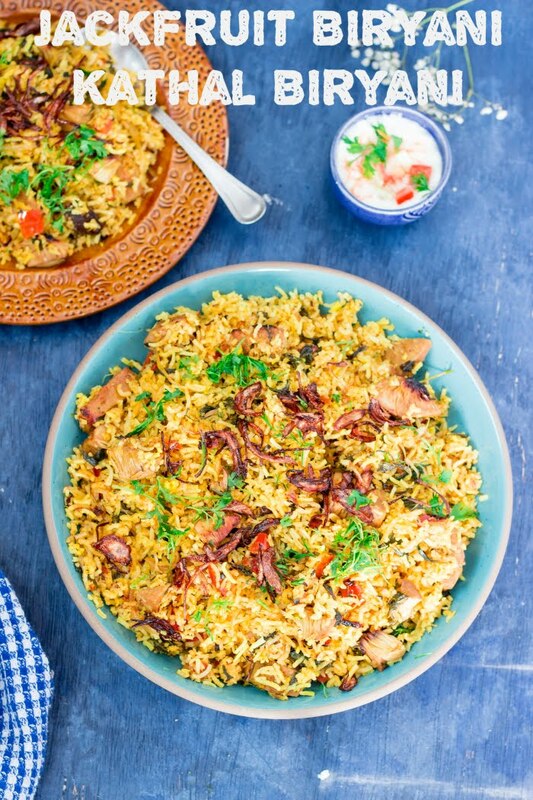 Jackfruit Biryani or Kathal Biryani is an Indian layered rice dish wherein raw jackfruit is cooked with rice and spices. Oil your hands and the knife with any edible oil, preferably coconut. Cut the jackfruit into quarters. Peel the thorny skin of the jackfruit. Remove the center stalk. Dice the jackfruit into 1" sized pieces. Sprinkle 1/2 to 1 tsp of salt on the jackfruit pieces. Heat oil in a deep kadhai or pan. 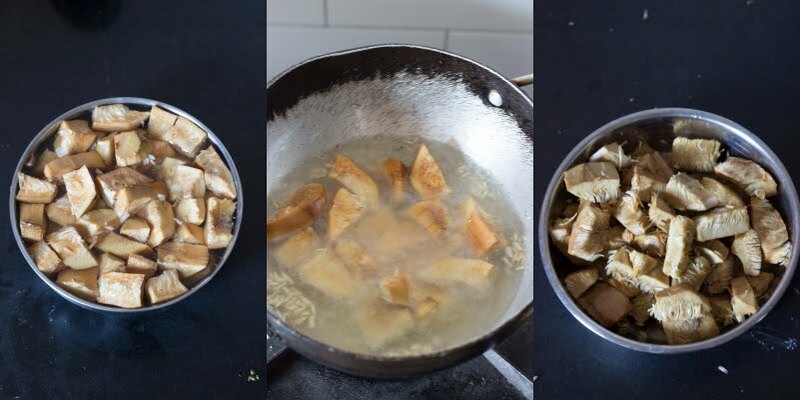 Deep fry the jackfruit until golden. Deep fry the onions on medium heat until dark brown and crispy. Be careful not to burn the onions. Remove from oil and keep aside until later. Wash the basmati rice for 5-6 times until the water runs clean. Soak it in water and keep aside for 20-30 minutes. Heat 8 cups of water in a large deep bottomed pan. Add 1/2 tsp of salt, 2 green cardamom, 2 black cardamom, 1" piece of cinnamon and 3 cloves. 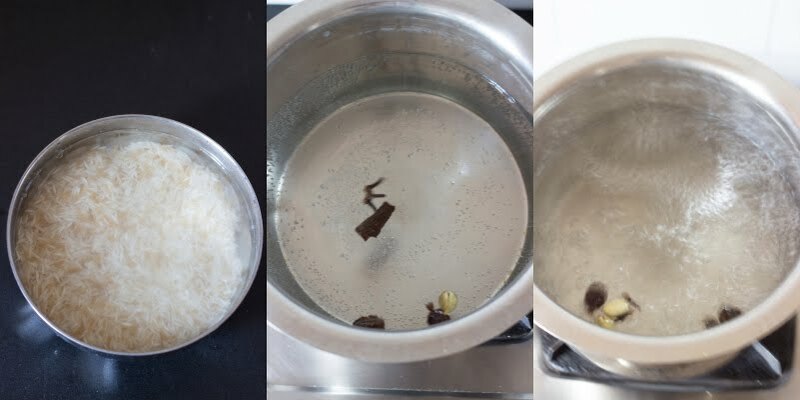 Once the water comes to a rolling boil, drain the rice and add the rice to the boiling water. Cover and cook on medium heat until rice is half done. Drain the water and wash the rice in cold water. Drain and keep the rice aside. I make the masala in the same utensil in which I will be finally assembling the biryani. Use a deep bottomed pan or pot or pressure cooker for this if doing the same. Finely slice the onions and chop the tomatoes. If you are making a vegan biryani, add one more large tomato. Heat oil+ghee in a kadhai or pan. Replace ghee with oil for a vegan option. Gently bruise the fennel seeds, stone flower, 1" cinnamon, 2 cloves, 1 black cardamom and 2 green cardamoms using a mortar and pestle. Do not crush it into a powder, just bruise it to allow it to release it's fragrance in the oil. 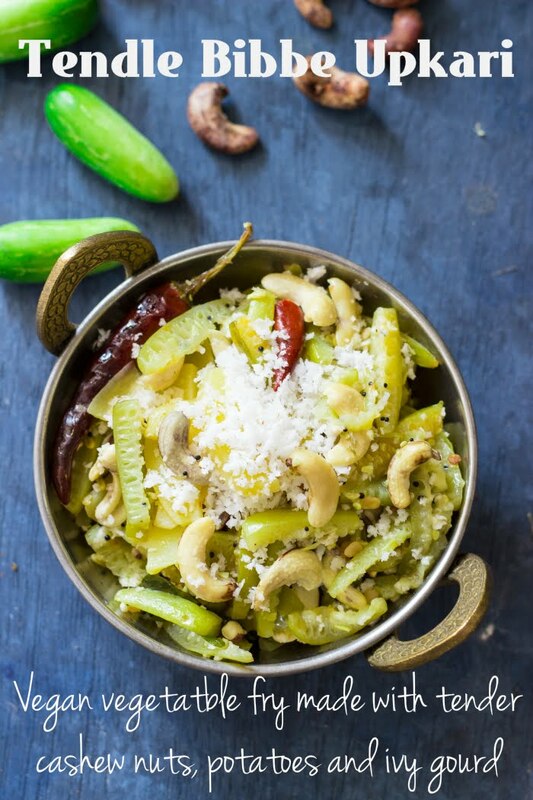 Once it heats up, add the caraway seeds (shah jeera) and bruised spices along with the bay leaf. Saute for 1 minute until fragrant. Add the sliced onion and cook them until translucent. Add the ginger and garlic paste and saute for 1-2 minutes until fragrant. Now add the tomatoes. 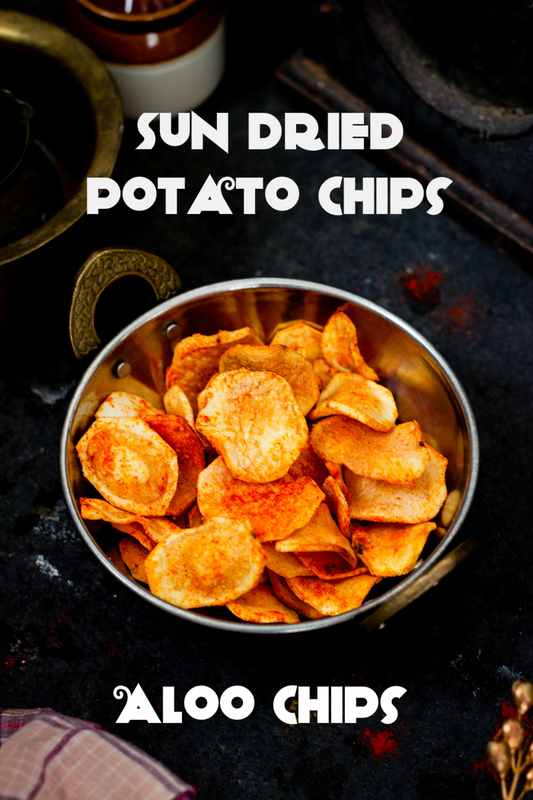 1 tsp turmeric powder, red chilli powder, coriander powder, cumin powder and garam masala. Continue to cook while stirring frequently until the tomatoes are cooked or for 5-6 minutes. Add the deep fried jackfruit, whipped yogurt, salt and 1 handful of coriander leaves (chopped) and mix well.Skip the yogurt for a vegan option. Cook on low heat for 1-2 minutes. 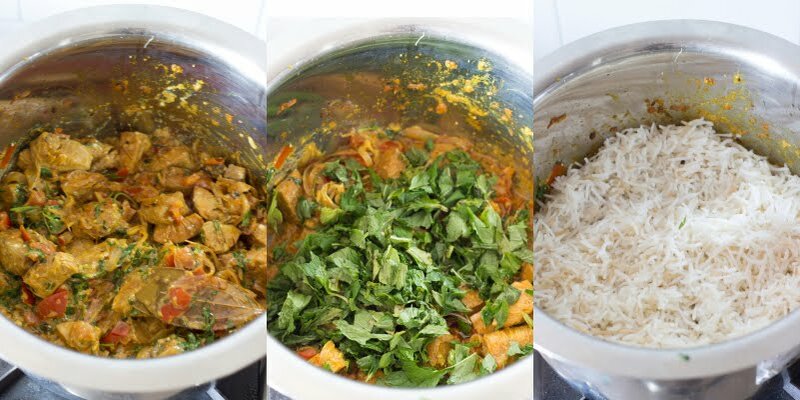 If you are going to cook the biryani in the same pan in which the masala was cooked, remove half the masala into a bowl. If you are using a fresh pan to make the biryani, spread half the masala in the new pan. Chop the coriander and mint leaves. Sprinkle half the coriander and mint leaves over the masala. Layer half the parboiled rice over the mint leaves. Spread the remaining masala on the rice. Sprinkle the remaining coriander and mint leaves. Spread the remaining rice on the mint leaves. Take half the crispy brown onions and spread over the rice. Dissolve 1/2 tsp turmeric in 2 Tbsp milk or water and pour over the rice. Cover and cook on low heat for 20-25 minutes or until the rice is cooked. Mix the layers while serving. Garnish with the remaining crispy brown onions while serving. Dice the jackfruit into 1" pieces. 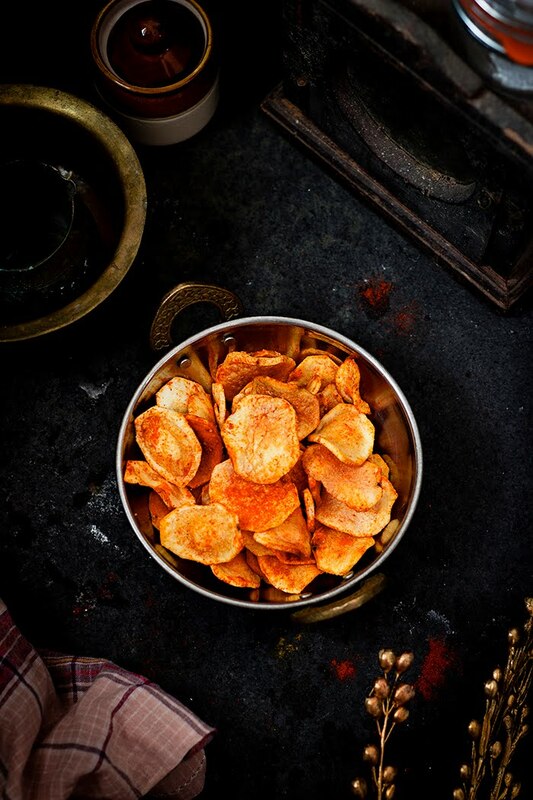 Salt them and deep fry until golden. Drain the water and wash the rice in cold water. Drain and keep the rice aside. take just 20 mins to make. Deep fry finely sliced onions on medium heat until brown and crispy. Heat oil+ghee in a kadhai or pan. Gently bruise the fennel seeds, stone flower, 1" cinnamon, 2 cloves, 1 black cardamom and 2 green cardamoms using a mortar and pestle. Add the deep fried jackfruit, whipped yogurt, salt and 1 handful of coriander leaves (chopped) and mix well. Take a deep pan, and spread half the masala. Sprinkle half the chopped coriander and mint leaves over the masala. Layer half the parboiled rice onto the mint leaves.